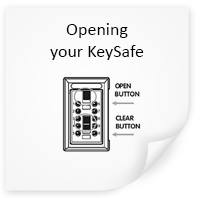 Here are the instructions for Kidde AccessPoint KeySafe that you can use to leave a key for us. Click on a link to view detailed instructions. If you have any questions about the KeySafe do not hesitate to contact us. Like us on Facebook for $10 off your next cleaning!